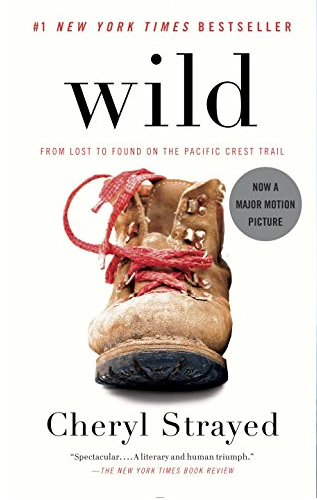 Currently I’m reading/listening to the book “Wild,” by Cheryl Strayed. I’m not sure why I decided to give it a go, but I had noticed this book probably for over a year, I’m not entirely sure of the timeline. A white book with a brown hiking boot and red laces stands out in the crowd. I remember picking it up and looking over the description and putting it down. I do that a lot. Mostly because I feel I don’t have any money worth losing for more stuff to accumulate in my house, and the realization that time-spent reading is as rare as finding a talking opossum willing to do taxes for free. Audio books have been a welcomed means of enjoying books allowing me to listen while I drive to and from work, and at work during the slower parts of the day. This is currently how I am consuming Strayed’s book. I’m currently on chapter nine with plenty still ahead, but certain aspects of the book resonate with me. In my younger years I was involved with the Boy Scouts, yes I am an Eagle Scout, yes I can tie knots and sing songs by a fire. I can also identify plants, trees, wildlife, read maps, use a compass, find my way out of the forest without a map and compass, rock climb, hike, and so on. However, it has been years since I have spent any real time out in the woods. I cannot remember clearly the last time I actually spent the night in a tent. I’ve made fires since my time in scouting, but I haven’t cooked on one, and hot dogs and s’mores don’t count. I haven’t slept on the ground with the thin layer of nylon separating me from the rest of the world as I slept. I haven’t had that quiet time in the woods where the only tweeting came from birds, and boredom is part of the experience of enjoying nature. The solitude of being on your own in the out of doors is another aspect Strayed expresses well. “Alone had always felt like an actual place to me, as if it weren’t a state of being, but rather a room where I could retreat to be who I really was,” she wrote. I heard this bit the other day and immediately wish I had read it in the book and not listened to it via audible. Lines like that were ones I used to highlight back in my younger years, or put on a quote wall. Other aspects of the narrator are similar to my own life in that my father died last year. He, like Cheryl’s mom, was a driving force in my life. In my younger years, the wonderful times of the teenager, the old man and I were not particularly fond of each other. Or, I should say that I was not particularly fond of him. He was controlling, selfish, and stubborn. Vacations served as a means to give him time away from work and fuel his passion for fishing, not going to Disney World. One vacation led us to Houston for a few days only to rush halfway through the week back to the camp to finish out the remaining time off at the camp in pursuit of largemouth bass he had yet to catch. He worked a great deal, and offered little in the way of emotional comforts and though we knew each other we didn’t at the same time. Or, maybe we didn’t understand each other would be a better way of putting it. He did drag me along for countless projects involving mechanical problems with vehicles, or lawn mowers, or whatever wasn’t working. We built things together like duck blinds, a storage shed, decks for the camp. We even helped build the Boy Scout hut my old troop still uses today. By involving me in these things he did show me to not be afraid of trying to take on a project, especially when it came to your own stuff, even if you didn’t fully know what you were looking at. Others have marveled at the fact that I can fix my vehicle if something goes wrong with it, unless it involves the damned computer that ever car now has. Later on in life our relationship improved, most likely due to the fact that I was on my own making my own way in the world. Growing up my mother was the one I was close with. After college, my father moved into that spot. The older we became the better the relationship. He wasn’t perfect, and neither was I. He had his quirks and I’m sure I picked up a few along the way. He didn’t die by cancer or a long drawn out illness. It was sudden, and unexpected. He was still too young to not be here, but his leaving is a void all of the family has had to learn to deal with. Part of living is losing, and sometimes the losing brings on better things. If he hadn’t passed I may not have started this blog, or published my short story “Frank Winston,” or I may have done a million other things. The interesting fact about publishing my short story on amazon is that it is the first short story I wrote after his death, yet it is the one I think he would have gotten a real kick from reading. Maybe I did that unknowingly when I wrote it. Who knows. The journey goes on, and we are all trying to find our way. I did want to share some news that “Frank Winston,” will be available for FREE on amazon tomorrow, February 28th. Pick up a copy, tell others, and please leave a review. If you miss the window of opportunity, buy it. It’s only a $1.49. The next blog post I deliver should have some interesting news about another short story I plan to publish. Thanks, and see you next time.